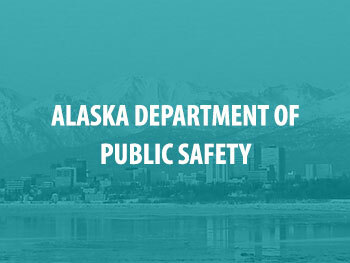 SAKI awarded Alaska Department of Public Safety (AK-SAKI) a grant in the amount of $1.1 million, which it will use to process over 1,000 SAKs. The state will also use the funds to designate a cold case investigator and prosecuting attorney, as well as form a multidisciplinary team to address policy change and ensure a victim-centered approach by law enforcement. AK-SAKI received additional funding in 2017, which will be used to test more than 50 unsubmitted SAKs from the previous year. The funding will also support the creation of the Alaska Sexual Assault Kit Initiative Research Project; the project will support AK-SAKI by providing statistical and methodological analyses to improve the understanding of police officers' frontline practices. The University of Alaska Justice Center is partnering with Alaska SAKI to research law enforcement's response to sexual assault survivors and the outcomes sexual assault survivors face in the justice system. The Alaska Department of Public Safety has used SAKI funding to test 400 of their 600 previously unsubmitted kits and 50 DNA profiles that were eligible, have been uploaded to CODIS. Governor Bill Walker signed a bill into law requiring untested SAKs be reported yearly, reporting of sexual assault to be victim centered, and requires police academies to have 12 hours of sexual assault training. Governor Bill Walker announced in 2016 that Alaska will receive $1.1 million in grant funding from the U.S. Department of Justice to process over 1,000 sexual assault evidence kits. The funding will cover SAK testing costs, as well as pay for investigators and prosecutors to process the cold cases. To learn more, read the full article.